For the last five years, I’ve been working in human resources, specifically in the New York tech scene, and I’ve answered many questions about health benefits. Since joining Celmatix, many of these conversations have turned towards women’s reproductive health, especially in terms of the cost of treatments and insurance coverage. I’ve learned that even if your employer offers partial coverage, navigating the world of fertility treatment financing can easily become overwhelming. 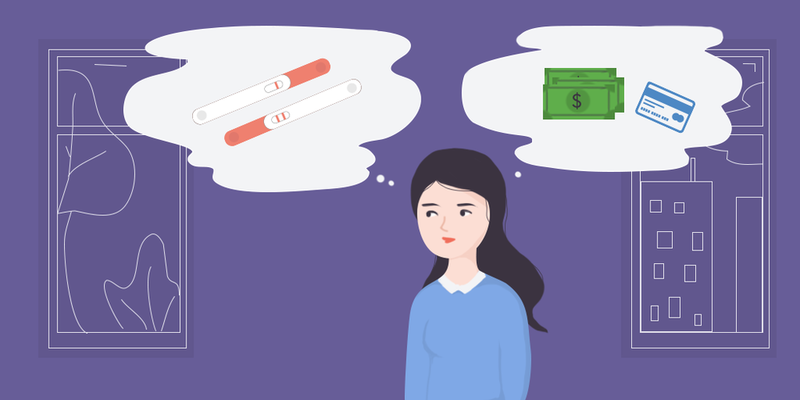 With a single cycle of in-vitro fertilization (IVF) coming in at around $20,000, and egg freezing starting at about $15,000, it’s easy to understand that the cost of fertility treatments often ranks pretty high on a woman’s list of concerns when deciding to initiate treatment. Getting a handle on how you’ll pay for treatment will help you take control of the process so you can focus on treatments rather than bills. Most major insurance companies — other than Medicare and Medicaid — provide at least one plan with fertility benefits. If your employer provides health insurance, your coverage will depend on the plans your employer has chosen. Before you do anything else, talk to your HR department about what’s available. In addition to getting your questions answered, you might also be highlighting a need that the company isn’t currently addressing. Facebook, for instance, started covering egg freezing for all employees after a single employee spoke up about why she needed it. If you’re applying for a job, ask to review the benefits packages before you accept an offer. This is a good general rule (as benefits can comprise up to 40% of your overall compensation), and it’s especially important if you’re planning to pursue fertility treatment. What you learn could influence how you approach salary negotiations, and may even change your final decision about where to work. If you don’t have fertility benefits through your health insurance, you may be eligible for grant programs and scholarships that can help pay for the cost of treatment. Most are based on need, location, or other factors, so it’s important to research which grants are a good fit for you. “Out-of-pocket” doesn’t have to mean “full price.” There are many infertility financing programs* that allow you to pay for all-inclusive treatment packages, often including multiple treatment cycles, at a discounted rate. These plans typically allow you to make multiple payments, which can make the cost of treatment much more manageable. Some pharmaceutical companies also offer discount programs for medication. Drugs used in ovulation induction can account for up to 30% of the total cost of IVF, so one of these options can make a huge difference. * Using third party financing programs often means waiving other insurance benefits. If you have insurance, you’ll want to compare your benefits against these plans before deciding how best to proceed. If, after researching all your options, you’re still feeling overwhelmed, remember that you’re not alone! Many clinics have trained staff members who can help you determine how to pay for treatment and their recommendations could be invaluable. Plus, their ongoing relationships with vendors and financial service providers could help you get discounts or special rates. If you’re still deciding on a clinic, try calling your top choices to see if they offer financial services. Even with benefits, discounts, and payment plans, you may still need additional financial support. Some clinics partner with lenders to offer loans for treatment (some of which overlap with the shared risk plans described above). If yours doesn’t, traditional personal loans are also an option. FertilityIQ has a good list of traditional and online vendors that offer financing for medical procedures. The biggest thing to keep in mind as you navigate fertility treatment financing is that you’re not alone. When in doubt, ask your company’s benefits admin and fertility clinic staff members as many questions as possible to craft a financing plan that meets your needs.